Directions: From I70 take Wadsworth Blvd north and turn left on 100th Ave. Turn right on Simms Street and turn left into the Westminster Hills Parking Area and trailhead. Westiminster Hills Open Space is a mixed bag of an open space park. I’ve hiked here a few times and have both loved it and loathed it. In uncomfortable weather, the park is a harsh brutal place. In OK weather, the hike can feel monotonous and boring. In springtime it can be a wildflower wonderland. That being said, there are beautiful views of the Front Range Peaks, including Longs Peak. The first portion of the park (1 mi from the trailhead) is mainly a dog park. If you don’t like off leash dogs, don’t come here. I happen to love dogs and I get a real kick out of seeing them running across the prairie. However, with the dogs come lots of people and the hike does not feel like much of a hike for the first mile. After the loop however, the trail stretches out, the dogs and people go away, and it feels much more remote. By the time you get to Mower Reservoir (almost 2 miles out) you’ll feel like you’re in a prairie wilderness area. To get to Mower Reservoir, at the end of the loop, stay straight, pass through a gate and continue on the trail alongside a fence. Pass through another gate, but keep on going, once the trail starts to curve around to the south, you are nearing the reservoir. The reservoir (which may or may not have water) is surrounded by cottonwoods and has a wildlife viewing platform on the west side. 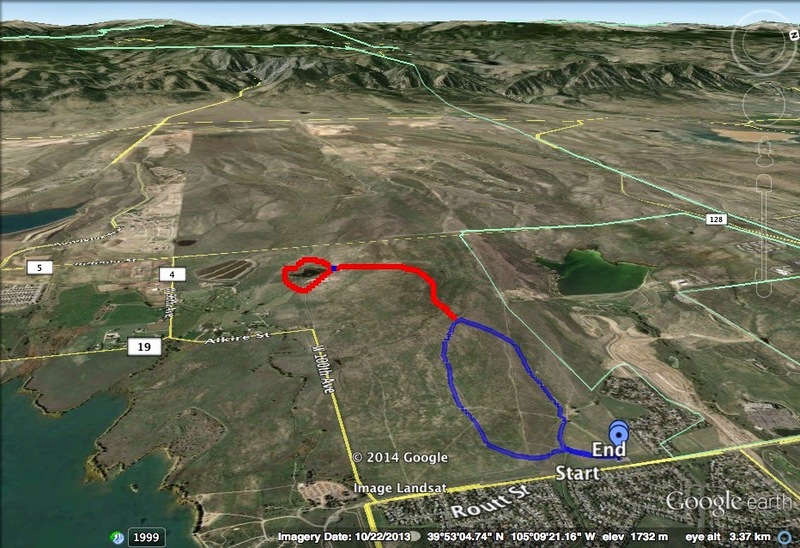 A short loop encircles the lake and you return via the same trail.